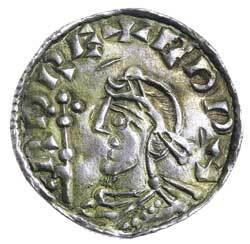 EDWARD THE CONFESSOR, (1042-1066), silver penny, expanding cross type, York Mint, issued 1050-1053, (1.12 g), moneyer Ulfcetel, (S.1174). 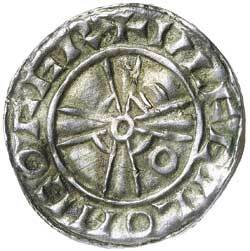 Toned, wavy flan, good very fine and scarce. Ex Matthew Rich Collection and previously Baldwins Auction 101, lot 3067.